You get the idea. Unfair? 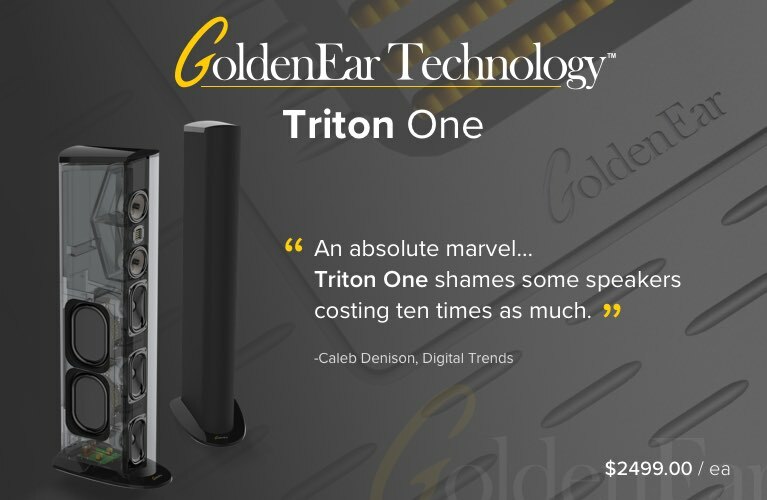 Sure, but not in the case of founder and design guru Anthony Gallo, who began his business in the late 1980s with two ideas, one of which, the Cylindrical Diaphragm Transducer (CDT), is part of the speaker reviewed here. The other idea, as radical today as it was then, is the spherical shape of Gallo’s original Nucleus model, made of anodized aluminum, and still to be found in Gallo’s Reference line. As you can imagine, forming a sphere from a single disc of aluminum probably ain’t the easiest thing to do. Yet the Reference AV, comprising four such spheres per speaker, costs only $3000 USD per pair. 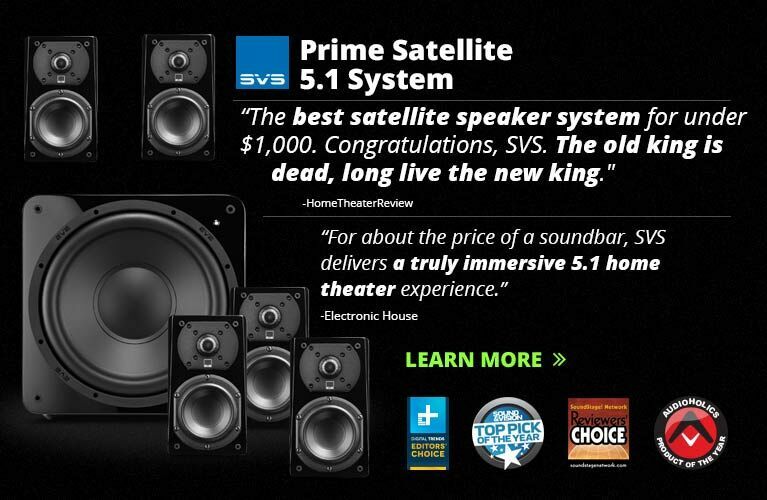 This suggests that price concerns can’t be the only reasons Gallo would create a relatively new line of more conventional box speakers, the Classicos. In fact, with models priced from $495 to $2495/pair, the Classico line offers an easy introduction to the Gallo family while avoiding the loss of customers who may not be ready for the Reference models’ dramatic visual statement. The Classico CL-2 ($795/pair) is a relatively compact two-way measuring 13.4"H x 7"W x 9"D, though that depth dimension is misleading: the protruding tweeter makes it 10.5"D; add the grille, and it’s 11"D. The CL-2, the more expensive of the two Classico bookshelf models, includes the third iteration of Gallo’s CDT tweeter, which Gallo claims provides 180 degrees of dispersion. (The Classico CL-1 makes do with a conventional soft-dome tweeter and costs $495/pair.) The woofer is a 5.25” cone of “polymer-damped carbon fiber.” There is no crossover. The cabinet is constructed of good ol’ 0.75"-thick MDF with internal bracing, and is veneered on all sides in genuine cherry or ash. Gallo’s Classico models are sold only factory direct, with a 60-day return policy; shipping is free both ways within the contiguous 48 states. 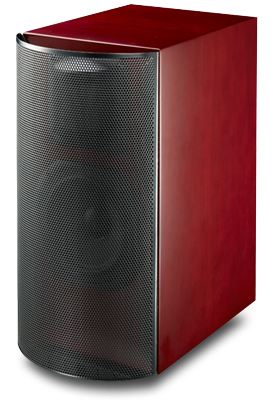 On the rear of the CL-2’s cabinet are unshielded but good-quality gold-plated, five-way binding posts. I found these user friendly, if not up to the mechanical means of tightening suggested by Gallo. With a socket wrench, I easily turned a post at the slightest pressure. Below the posts is the slot port for the transmission line. 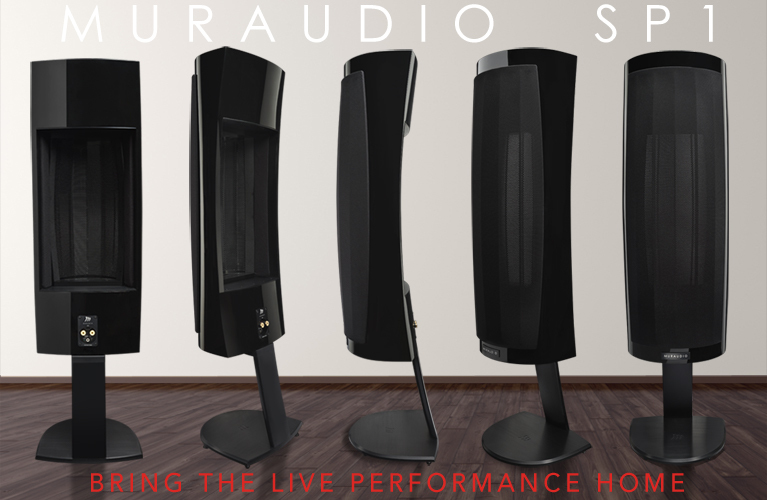 Yes, the CL-2 is a transmission-line speaker, which Gallo markets as its Backwave Linearization and Synchronization Technology (BLAST) and S2 technology. I’m sure Bud Fried is smiling somewhere. The CL-2’s claimed specifications are superb, some amazingly so. The nominal impedance is 4 ohms, the sensitivity 90dB/2.83V/m. The minimum and maximum recommended powers are 15 and 100W, respectively. 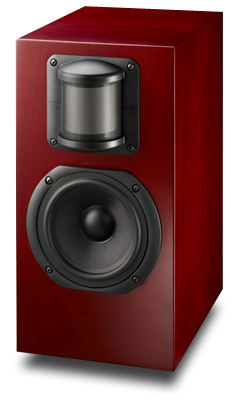 The amazing claim is of the CL-2’s frequency response: 39Hz-22kHz, +/-3dB “in room.” If that’s accurate, it means that the CL-2 should go lower than many of the floorstanders I’ve reviewed. For such a wee thing, we’re talking big cojones. The fit’n’finish was very good, though the CL-2 is not the kind of speaker whose looks will impress non-audiophiles. 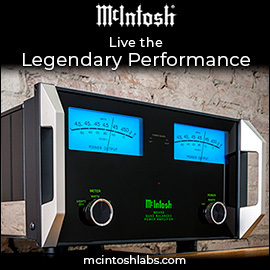 (If you really want to impress them, just tell them the price; I find this works even for entry-level high-end gear.) The hefty, pierced-metal grilles were well mated to the front baffles and held in place by magnets. Other than the weak binding posts, I thought the CL-2 was well built and assembled from good-quality components. Gallo recommends that the positions of two Classico CL-2s and the listening chair describe an equilateral triangle. I ended up with the speakers and my chair so arrayed, each side of the triangle measuring 7’. Feeling the CL-2s needed as much bass reinforcement as possible, I placed them within an inch of the front wall, firing straight ahead -- no toe-in. Per Gallo’s recommendation, I made sure the tweeters were at the level of my ears when I’m seated: 40". I set the speakers atop Quiklok BS-300 stands, with nothing between speaker and stand but the rubber pad built into the Quiklok’s top plate. I mention this only because Gallo provides squishy, Sorbothane-like discs intended for this purpose. Unfortunately, they sent only four discs, so I wasn’t able to determine what effect they might have on the sound. During the recommended 50-hour break-in period before I began my critical listening, I noticed an unmistakable congestion in women’s and higher men’s voices that was almost but not quite as severe as the sound a person makes before coughing. Not good, of course, but I hoped this would work itself out during break-in. Fifty hours later, the speakers were able to reach a bit lower in the bass, but that congestion hadn’t budged. I re-read the very helpful 14-page manual in hopes of finding a clue to a solution, and there it was. In the section explaining surround-sound settings, under the heading “Advanced Connection,” I was told that the “experienced listener” might want to try reversing the polarity at the speaker terminals. Experienced listener? Why, that’s me! So I did. This resulted in a wholesale improvement -- the congestion was nearly completely banished. In my 1440-cubic-foot listening room I measured a quite-good frequency response of 40Hz-10kHz, +/-5dB, which compares reasonably well with the claimed 39Hz-22kHz, +/-3dB. The curve itself was fairly smooth except for a sharp discontinuity of 10dB between 160 and 200Hz. I saw no measurable difference whether the grilles were on or off, nor did I see in my measurements an effect of the reversed polarity. The bass rolled off steadily and gradually below 80Hz, and was down only 12dB at 32Hz. Overall, the CL-2s combined the usual imaging and midrange/treble abilities of a good minimonitor with the strengths of a unique (and perhaps superior) tweeter. Through the CL-2s “The Ballad of Peter Pumpkin Head,” from XTC’s Nonsuch (CD, Virgin TOCP-65720), was detailed, expectedly forward in the midrange, with just a bit of bass attenuation. Imaging and conveyance of a sense of spaciousness were unusually good. The CL-2s also worked a treat with recordings in which, shall I say, I expect to find little undiscovered gold still locked away in the grooves or pits. Such was the case with “Polyphonic Song,” from Anonymous 4’s An English Ladymass (CD, Harmonia Mundi HMU 907080). What I heard was a polite, almost flattering presentation of the upper midrange, combined with, again, an excellent portrayal of spaciousness, which in this case made for a very believable facsimile of four women singing in the large, stone-walled space of a medieval sanctuary. How about some really good recordings, such as Ella Fitzgerald and Louis Armstrong’s Ella and Louis (24/96 FLAC, Verve/HDtracks)? Through the Classico CL-2s some microdetails -- such as the differences in microphone types and positions, phrasings of lines, and mouth noises -- were harder to discern than what I’d become accustomed to, but that’s not to say these cues were absent. And this high-definition recording was completely enjoyable and recognizable as such; dynamics, immediacy, just-recorded-yesterday freshness were all there in spades. Another hi-def track, “One Way Out,” from the Allman Brothers Band’s Eat a Peach (24/96 FLAC, Mercury/HDtracks), was presented with a great deal of spaciousness and good to excellent imaging, and Gregg Allman’s voice was smooth, smooth, smooth. Still, there was a lack of weight to the drums and bass that reminded me that the Gallos were still small bookshelf speakers. George Szell and the Cleveland Orchestra’s recording of Brahms’s Academic Festival Overture (CD, Sony Classical SBK 46330) was again spacious, and instrument locations were solidly imaged. The lack of bass weight made the timpani less easy to identify as such; they were more like tappings on taut skins than a nice bunch of whomps. At this point I didn’t expect to be in rapture over the 32Hz organ-pedal opening of Strauss’s Also sprach Zarathustra, in the recording by Giuseppe Sinopoli and the New York Philharmonic (CD, Deutsche Grammophon 423 576-2), so I was pleasantly surprised at how well the CL-2s approximated it, suggesting the fundamental note by playing up its overtones -- a nice trick that’s not always achievable. Some free advice: It’s probably a good idea to consider pairing any bookshelf speaker with a subwoofer, and the Classico CL-2 is no exception. It just so happens that Gallo makes two models of Classico subwoofer: the CLS-10, with a 10” cone ($699); and the CLS-12, with a 12” cone ($999). Anthony Gallo Acoustics’ Classico CL-2 is a reasonably priced, well-made bookshelf loudspeaker that, while requiring a bit more tweaking than I’m accustomed to, gave a very good account of itself, presenting a wide, spacious soundstage with very good to excellent imaging cues. Though not a detailmeister, it was quite pleasant to listen through, finding the “good” in even questionable recordings. Is there anything out there that’s better for $795/pair? Darned if I know, but I experienced nothing in my time with the Classico CL-2s that suggested anything but very good value. Price: $795 USD per pair. Warranty: One year, plus four-year extended-service agreement with owner registration (nontransferable).